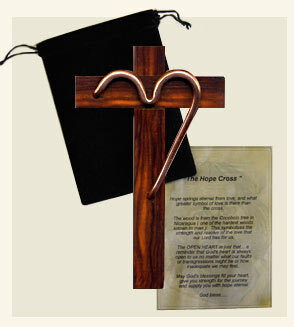 I developed the "Hope Cross" for the encouragement and nurturing of my fellow man... to remind us all that the source for our "True Hope"; the hope of love, salvation, and peace of mind is Jesus Christ. I make the Crosses and Epilogue and send them to any and all who request them. I only ask that you share a little bit about yourself so that I may know you better.